Use this easy-to-sew window treatment pattern to make an easy to hang valance. 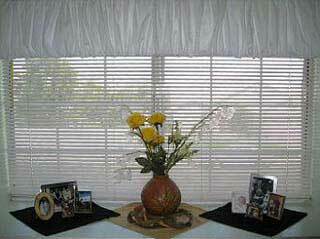 Just use spring loaded tension rods and you can have this valance up in no time. Great for apartment or dorm living.